Most branded mobile apps have been designed for utility, but the ZBi platform enables companies to use mobile apps to deliver content and communicate with customers. For the most part, apps are a utility. Lots of free apps display ads but there are also lots of brand-created apps designed only for getting a specific thing done, sans any sort of communication with the consumer. According to eMarketer, nearly 85 percent of company executives say communication is the most important function of the mobile app. So there’s a real disconnect between what executives think the app should do and what it’s actually doing. 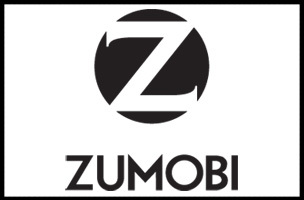 Enter Zumobi, a mobile media platform that enables advertisers and publishers to deliver content to consumers via mobile apps. Most recently, the company announced the launch of its Zumobi Brand Integration — or ZBi — platform for marketers, optimized for consumer-facing brand apps. According to Ken Willner, ZBi turns branded utility apps into a customer communication vehicle, essentially transforming the app into a CRM tool for the brands. When asked how he thinks consumers would react to being served content within apps originally purposed for a specific utility, Willner says there’s no reason to believe consumers wouldn’t want valuable content. 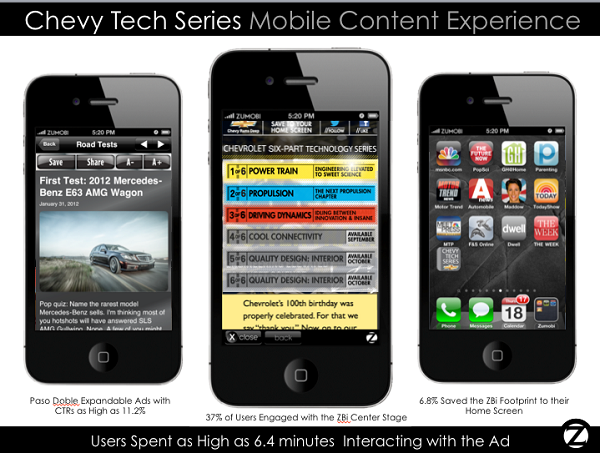 As far as Willner sees the lack of content within branded mobile apps is a lost opportunity. But he admits that the absence of a CMS tool to enable brands to deliver content via mobile app, and the sheer velocity at which consumers have shifted to mobile over the last 18 months has resulted in brands simply trying to catch up to the mobile revolution. Branded Content: Provides targeted brand content and messaging to customers. Partner Marketing: Delivers relevant third-party promotions and special offers. ZBi also measures engagement by tracking click-through, time spent, as well as pages and videos viewed. According to the data from a recent ZBi-powered Chevrolet campaign, nearly 40 percent of consumers engaged with the content and spent an average of six minutes interacting with the ad. However, on mobile, there’s a hand-off, which makes tracking conversion rates difficult.